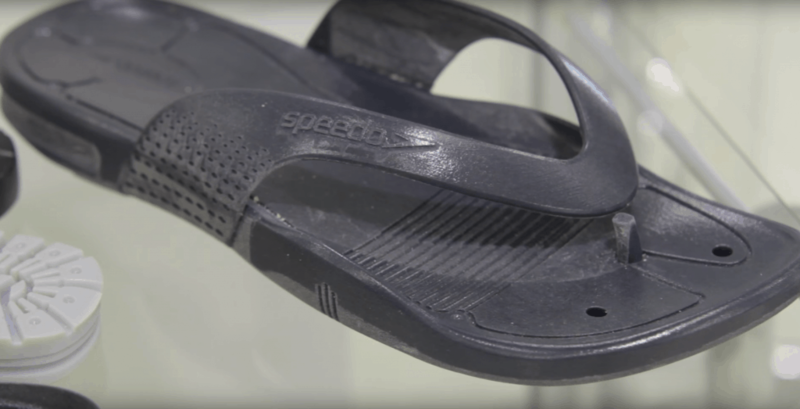 Speedo have cut design iteration times dramatically by the use of a Connex 3D printer when rapid prototyping hard goods. Over 5 years ago leading distributor of Stratasys 3D printing systems, SYS UK, delivered the Objet Connex 350 three-dimensional printer to the Aqualab, Speedos global R&D facility in Nottingham. Today it continues to serve its purpose in innovative rapid prototyping of swimming goods whilst reducing iteration time and costs by eliminating outsourcing, whilst expanding design and development freedom. The Aqualab, infamous for its reputation as a highly confidential department with restricted access for non-staff members, focuses on areas including sports science, engineering, materials development, and innovation during the development of Speedo products. Typical product research and development cycles can last anywhere up to five to ten years. The facility provides many resources, including wet and dry labs for testing of materials, three-dimensional scanning technologies, a full sampling facility, and inspiring creative spaces where R&D personnel are free to scrawl newly hatched ideas and suggestions on the walls. The development process entails creating a body of information extracted from external partners and internal resources which is fed into innovation teams to develop ideas and insights. The aim is to develop an ingredients list of technology platforms which are brought to the prototyping stage. Before the Connex 350 was introduced in 2010, the company had to examine the latest rapid prototyping technology trends. 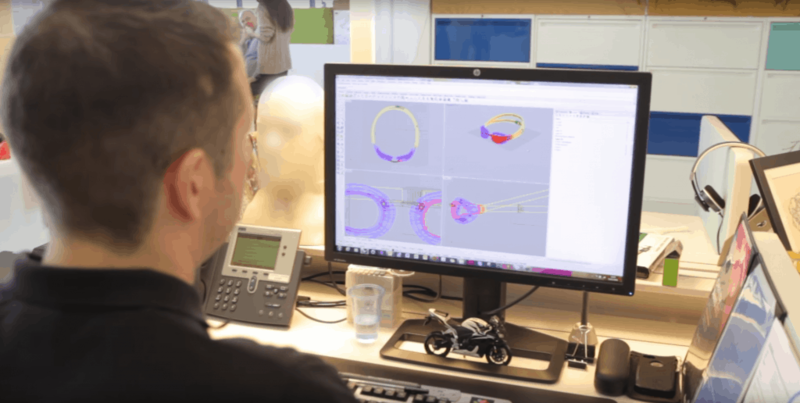 Following an initial consultation with senior academics at Loughborough Universitys Additive Manufacturing Research Group, the Head of Aqualab was keen to understand which technology would best allow the actual wearing/trialling of products that had been produced using rapid prototyping. The answer was the Objet Connex 3D printer. The Connex 350 installed at Speedo’s Aqualab is a 3D printing system that jets multiple thermoplastic models simultaneously. It offers the unique ability to print parts and assemblies made of multiple model materials, with different mechanical or physical properties, in a single build. 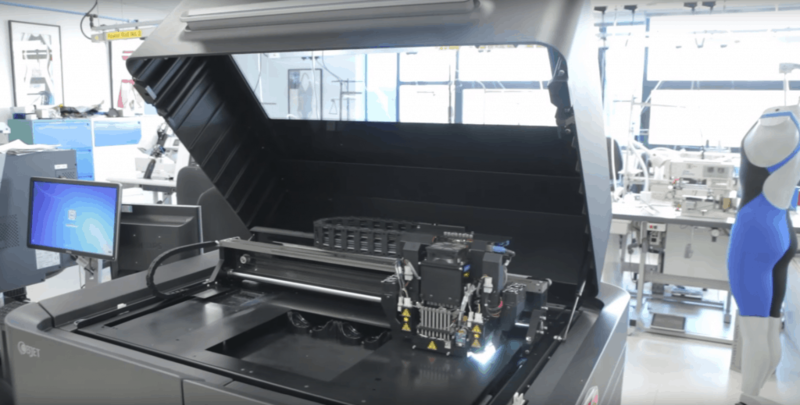 Taking the concept even further, the Connex 350 can also fabricate Digital Materials on the fly, enabling users to create composite materials that have preset combinations of mechanical properties. Speedos Connex 3D printer is used nearly every day, allowing prototypes to go from CAD model in the morning to in the pool by the afternoon. For Speedo, the machines installation has empowered Aqualab, allowing for a speedier development process. Build times for a typical set of goggles usually take around 3-7 hours on the Connex, depending on size and quantity. Most are built in an upright position and the company can fit multiple pairs on the machines tray simultaneously, when required. The production materials for Speedo goggles are silicones and TPRs (thermoplastic rubbers), all of which are replicated by Objet materials. Based on Objets breakthrough PolyJet Matrix Technology, the Connex 350 3D printer simultaneously prints two FullCure model materials and creates an extensive range of Digital Materials. By printing with Digital Materials, the Connex 3D printer allows users to print parts with specific Shore A hardness values to match the values of the intended production materials.